As part of their annual “hackathon,” several Riot Games employees created a 2D platformer based on community suggestions. 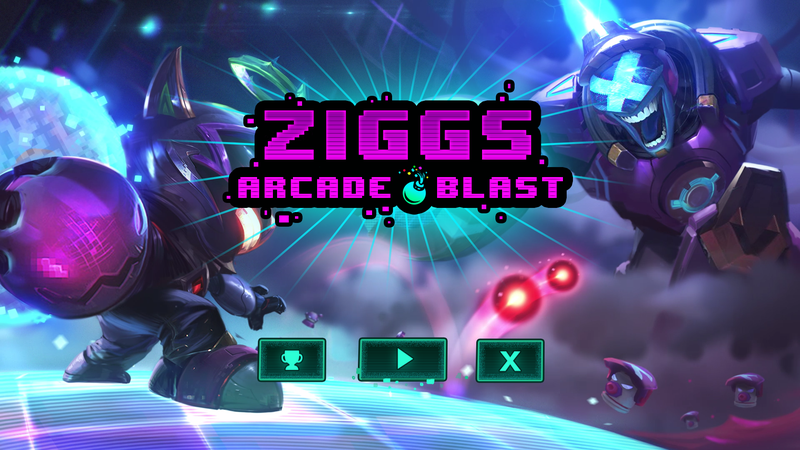 The game, called Ziggs Arcade Blast, is now available to play. Made in 48 hours, the game (downloadable here) features the bomb-lobbing Ziggs journeying through an arcade-style world to eventually fight Brand, another League of Legends champion. Throughout the marathon, dubbed Thunderdome X, Riot developers under the name Team Player Voted Content asked the community to choose what kind of game they would make. Releasing incremental updates through Instagram as the hours went on, the game shipped yesterday in its final form, with several platforming levels and a final boss. It’s a little rough around the edges, but a neat way to explore League’s world from a new perspective. Past Thunderdome projects include the Howling Abyss, League of Legends’s official all-random all-mid map, and creating League of Legends skins for Super Smash Bros.